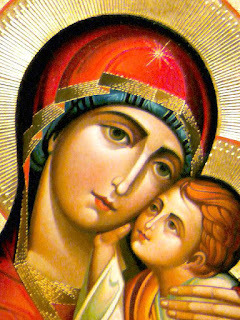 One Eternal Day: "Our Lady of Wheaton"
In regard to the second Catholic teaching, the perpetual virginity, of course we accepted Mary’s virginity before the birth of Christ. As J. Gresham Machen argued, to dismiss this cardinal doctrine, as fashionable Protestants once did, was to invent a religion other than Christianity. Karl Barth, for whom there is much enthusiasm at Wheaton, asserted against his liberal Protestant colleagues, his own father among them, the necessity of the virgin birth as both a fact of revelation and an indispensable illustration of salvation by grace alone.